Build a Business. Lead a Community. Welcome to Barre Fitness the first and only Canadian Barre workout franchise opportunity. Since we opened our first studio in 2010, we’ve been dedicated to creating a culture of quality, fitness, and fun. We’re more than just a workout. Our studios are a place for people to come together to work toward a common goal. A place to where people encourage each other to reach their full potential. And a place where everyone is inspired to lead happier, healthier, and more active lives. their full potential. And a place where everyone is inspired to lead happier, healthier, and more active lives. It’s this focus on community and empowerment that separates us from the other fitness franchise opportunities that are available. If this sounds like the perfect business for you, download the Franchise Information Kit to learn more! A Barre Fitness workout is unlike anything else. It’s a fun, intense, but accessible 1-hour workout that can be adapted to any level of experience or fitness. By combining the best elements of ballet barre, pilates, sports conditioning, and stretching, barre workouts are designed to trim, tone, and transform your entire body. We are dedicated to the evolution of Barre, with a variety of workouts suitable for anyone. The best part? You’re not just joining a gym. You’re becoming part of a community of passionate and dedicated individuals. We hear it from clients all the time – they come for the workout, but they stay for the sense of positivity and support they receive from our certified instructors and fellow clients. The beauty of becoming a Barre Boss is that you’re never on your own while building your business. From the moment you sign the franchise agreement you gain access to our custom-built processes and systems, business planning support, and operational and studio procedures. We call it Barre-in-a-Box, but you can call it your path to franchise success. Learn from our experience since opening our first studio in 2010. We’ve developed proven business processes, operational systems, and studio procedures that work to streamline operations, engage your team members, attract and retain your clients and boost your bottom line. Our dedicated team will empower you with everything you need to take ownership of your Barre Fitness studio. We provide 1-on-1 Pre-Opening Guidance, site consultation, launch strategy, and PR campaigns. We’ll even throw a party for your grand opening! Once you’re up and running, our collaborative approach means you have access to unwavering training and support, regular meetings, and opportunities to exchange knowledge with other franchise owners. Leverage the Barre Fitness brand online and in-studio. Take advantage of our library of custom designed marketing resources, effective promotions, marketing campaigns, and digital marketing strategies to attract new clients in your area and keep your members coming back! Now is your chance to get in early with an emerging and expanding franchise. We are the first and only Canadian barre workout franchise, and we’re continuing to grow with the help of dynamic, like-minded individuals who are excited to build their own business alongside us. Barre Fitness is not a one-size-fits-all workout, and we strongly believe that the people who teach the classes should have demonstrated their knowledge for fitness and empowering clients about their bodies. 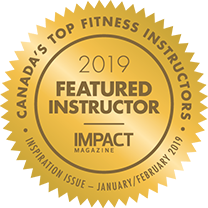 That’s why all of our expert instructors are also certified fitness professionals who have a strong background in teaching fitness and a passion for dance. At Barre Fitness, we’re not just signing on franchise owners. We’re growing a community passionate about heath, wellness, and inspiring others. We believe that we are better together and regularly facilitate opportunities for Barre Bosses to meet, exchange ideas, overcome challenges, collaborate, and learn from each other. After all, we all share the same dream of building our business to be the best it can possibly be. “I found out about Barre Fitness back in 2012 and I was absolutely hooked! So, in 2014, my partner and I sent an email enquiring about the process of opening a franchise. Before long we were actively applying for Franchise Rights in South Surrey! It was a wonderful process, dealing with Ella and Michele. They were helpful every step of the way and always available to talk and answer any question we had. The information we received from them helped us prepare our business plan and helped us through the build out stage and into opening day. The training we received, both for our instructors as well as for our front end staff was stellar. Join us for a short presentation on why Barre Fitness is such a great business opportunity and an amazing brand to be a part of. In 2010, two powerhouse females established Canada’s first barre based studio in Yaletown, Vancouver. They had a single vision – inspiring happier lives through fitness and health. Since then, Co-Founders Ella Jotie and Michele Murgel have grown Barre fitness into the leading Barre company in Canada. Bringing over 35 years of combined experience in dance, choreography, group fitness, personal training, human resources, and business management, Ella and Michele have empowered thousands of people to lead healthier, happier lives – one plié at a time! Now, Barre Fitness is ready to take the next step and grow even further. That’s why we’re actively looking for franchise owners who want to bring this passion, vision, and dedication to their communities. We’ve built a strong culture of fun, passion, and a sense of belonging. From the team we work with each day, to the clients who visit our studios, to the communities in which we operate in, we’re all in this together! You’re hands on with your studio and are willing to do what needs to be done for it to be successful. Your team will become a family to you as you work together to inspire others and grow your business. You’re actively involved in the causes and organizations that matter most to you. You have the desire to support your community and help others both inside and outside of the studio. You believe in giving back – it’s how we raise the Barre! Opening a Barre Fitness studio is a fantastic way to start and build a business. To help you determine if Barre Fitness is the right opportunity for you, we’ve provided some of the basic numbers you should be aware of before applying.